The Atmegatron is a new 8-bit monosynth and the debut product from Soulsby Synthesizers. It's an electronic musician's dream, combining the sounds of 1980s home computers with the flexibility and power of a modern synthesizer. It adds a wide palette of new sounds to any studio setup and is also great for live use. Features of the synth include: 32 waveforms, 15 digital filter types, 2 ADSR envelopes, 1 LFO with 16 waveforms, an arpeggiator with 15 patterns and loads of fx including phaser, distortion and the unique Wavecrusher. It also comes with 16 preset sounds and unlimited preset expandability via the Atmegatron Librarian software available for Mac or PC. The Atmegatron is built on the open source Arduino platform. 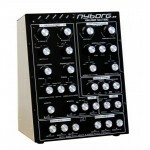 This means that the synthesis engine can be completely changed by uploading software to the synth. 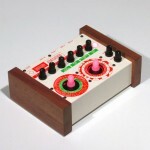 One minute it's a monosynth, the next it's a drum machine. Soulsby Synths will be releasing new and completely free software versions over the coming months.